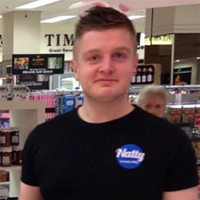 Instead of us just telling you how good we are, we asked Liam Watson of ‘luxury flavoured milk’ maker Natty to tell us about his business and why he likes using Sage One Accounts. 1. Hi Liam, could you please give me a brief summary of who you are, what you do and the name of your business? I’m Liam, 24 years old, from Hexham in Northumberland. 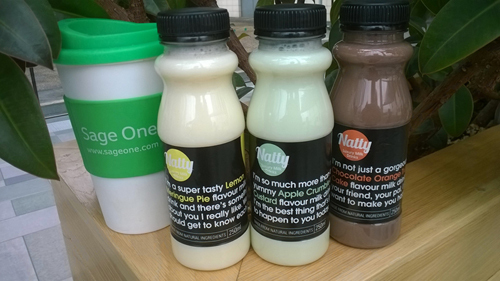 I make ‘Natty’ – the UK’s only 100% natural flavoured milk drinks which are all low fat and low sugar. The milk comes in three delicious flavours – Chocolate Orange Truffle Cake, Lemon Meringue Pie or Apple Crumble and Custard. The business is really just me. I did have a flavour consultant initially that helped me, and a business partner at the start but he has since decided it’s not for him. My days are now spent marketing and selling the product and my evenings are spent making the milk. I had been using using Sage Line 50 desktop software from an earlier business which I started when I was around 19yrs old, but since making the switch to Sage One Accounts earlier this year I haven’t looked back as the cloud-based software gives me more freedom and flexibility to run my business on the move. Automatic VAT reclaim and e-invoicing. After contacting us via Twitter @wearenatty, Liam arranged to drop some bottles of Natty off at Sage HQ for us to try. The Sage One marketing team then did a taste test and I’m pleased to say that we thought it was all absolutely delicious! Unlike most flavoured drinks, Natty tastes just like the real thing and is a bit like drinking a cake in liquid form! We loved all three flavours and are delighted that Liam is using Sage One to manage the finances for his business! I visited many websites buthowever the audio feature for audio songs current at this website is really marvelous.